John Strickland was a college football player when an injury changed his life. Doctors said the severe nerve damage he sustained was beyond repair. Refusing to accept this as his reality, he went on to experience total healing. The profound sense of inner peace he felt before his healing inspired him to become a minister. In the ensuing forty years, Rev. Strickland has sought a deeper understanding of how the mind, body, and spirit work together in the healing process. 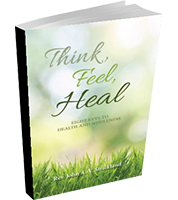 This book explains what he has learned and how to use his wisdom to achieve healing.